LOS ANGELES, Calif. /California Newswire/ — Today, The Perlman Foundation, a 501(c) charitable non-profit organization headquartered in Los Angeles, announced the results of its first annual Bridging the Gap Awards (BGA), an unrestricted grant opportunity designed to identify and support small- and medium-sized charitable organizations that exemplify the Foundation’s mission to serve low-income communities. Through the BGA, the Perlman Foundation, which originally sought to give away $50,000, is contributing a total of $111,000 to 20 organizations nationwide. Southern California is home to the largest concentration number of BGA winners, with 10 organizations selected based on their exceptional work in low-income communities, particularly in promoting academic success, leadership skills and community service among young people. They serve communities in Inglewood, Long Beach, Los Angeles, North Hollywood, Pasadena, the San Gabriel Valley and Watts. The Perlman Foundation selected the BGA grant recipients based on the vision, passion and documented results of each organization. “These grassroots organizations are making a real difference in our communities, and we created the BGA grants to help them build their capacity and continue their amazing work,” says Shaun-Teka Joyner, Executive Director of the Perlman Foundation. Following the initial selection of BGA recipients, the Foundation conducted an in-depth assessment of each organization’s needs and resources, in order to determine the amount of its BGA grant amount. The awards range from $1,000 to $10,000. * USC Troy Camp, Los Angeles. For additional information about the BGA grant recipients and their work, or to learn more about the Perlman Foundation’s programs, visit www.perlmanfoundation.org. 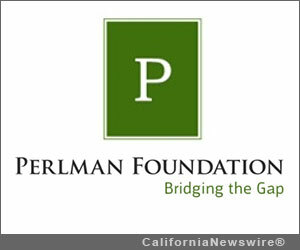 The Perlman Foundation is a charitable, tax-exempt, 501(c) 3 organization established in 2009 by Gregory Perlman, President and CEO of GHC Housing Partners, to provide support and assistance to lower-income children, families and charitable organizations that are working to improve their communities. The Perlman Foundation seeks to empower individuals and organizations through philanthropic grants and programs that invest in people, projects, ideas, and dreams. * Text based on provided press release.